The Beautiful Games | Kick Off! 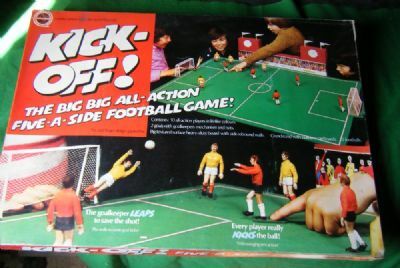 A huge boxed game from around the time of Striker and Targetman that also offers 5 a side teams with kicking action. 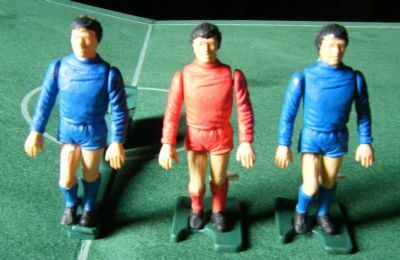 Nicely produced pieces and design but the player figures are most sinister. An enormous box that would have generated squeals of delight when wrapped under the christmas tree! Bold and colourful design with good shots of the game. The game has 2 teams with diving goalies, balls, goals, pitch and a curious cardboard stadium construction. 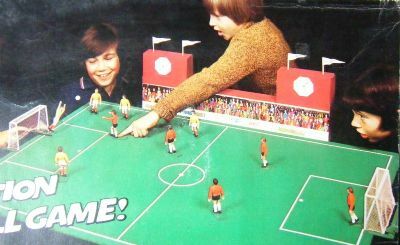 A nicely designed stadium made from cardboard with amusing graphics. 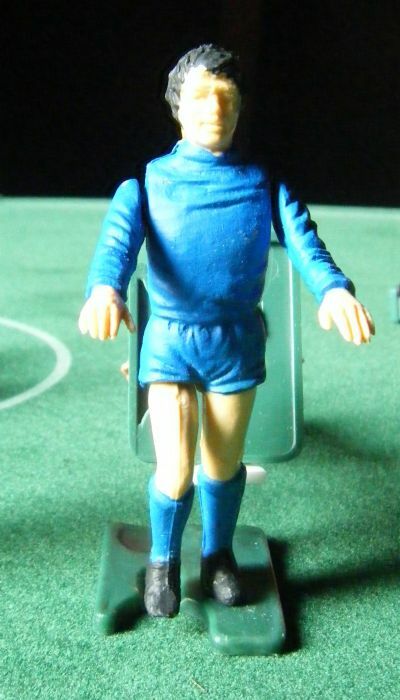 Extremely strange designs - the players arms extend out in front of them when they kick the ball. Very Lurch like pose. These players are more like the walking undead!